Congratulations! You're the proud parent of a newborn bundle of joy. Many things are swirling through your head right now, especially if this is your first child. Acquiring a Social Security Number (SSN) for your child is probably not near the top of your priority list, and it probably shouldn't be – but don't let a Social Security number slip through the cracks. An SSN provides an important identity reference for your child throughout his or her life, and you may need his or her SSN for tax purposes, medical coverage, and government services. The simplest way to acquire your child's SSN is to fill out a birth registration form. Normally, you will be provided a form at the hospital while the mother is still registered as a patient. Simply check the box on that form requesting a SSN and provide the Social Security number of both parents. If a parental Social Security number is unknown, you may still apply for a number for your child. Your child's Social Security card application will be processed within one to five weeks, depending on your state. Allow another two weeks for the card to arrive in the mail. 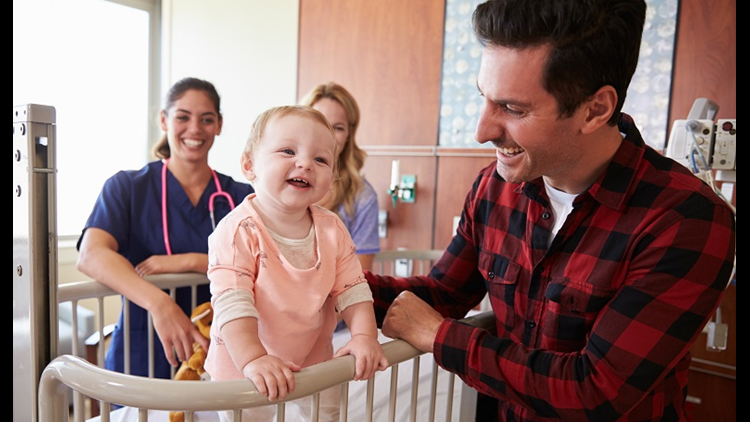 If you were unable to fill out a birth registration form at the hospital for any reason, you can apply for your child's Social Security Card at your local Social Security Administration (SSA) office by filling out Form SS-5. The SS-5 form covers all varieties of SSN requests, from replacement cards to correcting erroneous information to applying for original cards for both children and adults. The form requires basic information such as place and date of birth, citizenship, parental SSNs, and your relationship to the applicant. Download the form prior to the visit to review the instructions and save time. You must provide original documents proving the child's US citizenship, age, and identity. Generally, a birth certificate is required to verify age and citizenship. Alternate documents such as a US passport are acceptable for children who have one. In lieu of a birth certificate or passport, you may be able to use the record of birth if that birth occurred in a US hospital. When you are applying for a child's SSN, you will also need documents proving your identity and your relationship to the child (including adoptive parents or guardians). A US driver's license or passport is preferred, but the SSA may also be able to accept employee, school, or military identification cards, among other forms of ID. For adoptive parents, the SSA suggests waiting until the adoption is finalized so the application uses the child's new name – however, if preferred, a number might be assigned before the adoption is complete. Children over the age of 12 must appear in person at the Social Security office to be interviewed prior to an application, even if parents/guardians will be signing the application. If you're dealing with a unique situation or aren't sure that your documentation is adequate, contact your local Social Security office for more details or check the document Social Security Numbers for Children on the Social Security website. You may be able to save multiple trips to the SSA office. Remember that your child's SSN is a tempting target for identity thieves. They can establish fake accounts under your child's name and go undiscovered for years. Never give out your child's SSN without good reason. Be as protective of your child's new SSN as you are of your child.